The hype about statin drugs to reduce cholesterol is increasing by the day. In statin drugs and side effects, we will learn about the best selling and most profitable drugs ever created. Vitamin K2 which protect the arteries from calcium buildup is inhibited by statins. This is significant because K2, along with magnesium (Mg) is vital in moving calcium out of the soft tissues and into the bones where it belongs. Mitochondrial dysfunction. Our energy is produced in the mitochondria and statins are toxic to these energy centres in our cells, disrupting ATP (adenosine triphosphate) production, which is our energy currency. This in turn compromises heart muscle function and disrupts intracellular signals. Coenzyme Q10 (CoQ10): Statins are known to deplete CoQ10 (ubiquinol) levels and this fact was to be added as a warning on statin cartons and inserts but the FDA (Food and Drug Administration) decided against it in 2014. Statins and Ketones. Dr. Aseem Malhotra, an interventional cardiologist consultant in London, U.K. says that statins block the formation of ketones. Ketones are an essential part of mitochondrial nutrition and overall health. If you can’t make ketones, you impair the metabolism in your entire body. This includes your heart which raises your risk for heart disease and a variety of other conditions. Selenium-containing proteins: Statins interfere with Selenoproteins such as glutathione peroxidase. These proteins are vital in preventing oxidative damage to muscle tissue. So what exactly is cholesterol? Cholesterol is a fatty substance known as a ‘lipid’. It is absorbed by the body from our food and is synthesized by some of our cells, primarily those of the intestines and the liver. Cholesterol is also necessary for cell membranes in all tissues to produce normal cell and membrane growth. It is a necessary precursor for many crucial hormones such as progesterone, estrogen and testosterone as well as the stress hormones. When we are exposed to sunshine, it is the cholesterol in our skin that converts to vitamin D.
There are different types of cholesterol and here lies the problem. The two main different kinds that you hear of today are HDL which stands for high density lipoproteins and LDL which stands for low density lipoproteins. You may also hear of (very) VLDL and TG which stands for triglycerides. Triglycerides are not really cholesterol but another class of fats or lipids found in the blood. When you hear about high cholesterol, that’s not really the whole story. You need to know the level of your HDL cholesterol (the good stuff) and your LDL, VLDL and TGs (the bad stuff). “High cholesterol” is a term we hear a lot and it does seem to put the frighteners on the general population but it is a deceptive simplification. So what has magnesium got to do with cholesterol? Magnesium actually has an affect on cholesterol levels. It regulates production of cholesterol by controlling the enzymes that produce it. 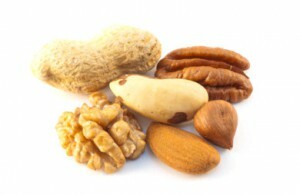 It can raise the level of HDL (good) cholesterol and at the same time lower LDL (bad) cholesterol. Depending on what the body requires, it can either increase or reduce cholesterol production¹. But isn’t that what statins do? 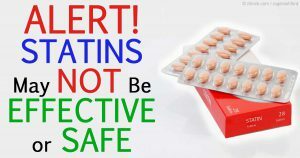 Yes it is but statins are drugs which will have side effects. Magnesium is a natural nutrient which is vital for healthy cholesterol production and has no side effects (except diarrhoea if used to excess). Magnesium does the job naturally but even so, pharmaceutical companies started the quest of looking for a drug that would cut cholesterol off at its source. They did this by coming up with a drug that inhibits the enzyme which is responsible for cholesterol synthesis. So they invented a series of drugs called statins. The enzyme HMG-CoA reductase was the target. Statins are drugs that may reduce subsequent heart events ie. for those who already have heart disease and have suffered a heart attack or cardiac event. Recent research has now put this into doubt. But what makes it worse is now there seems to be a trend to prescribe statins to those patients that haven’t even got heart disease and have no signs of having it. Just elevated cholesterol levels will likely instigate your doctor to prescribe statins. Could this be something to do with Big Pharma putting money before patients’ health! Surely not? No benefits for disease free patients so why prescribe it? Studies have been undertaken with data from 65,000 people and it has been found that there is no evidence that statins had any benefits for preventing cardiovascular disease from disease free patients or even from those at risk from getting heart disease. For some, statins may do more harm than good with patients suffering from unpleasant side effects and recent studies are now pointing towards statins actually being dangerous. If you are prescribed statin drugs for lowering your cholesterol, it would be wise to ask questions as to why it is being prescribed, particularly in the case of someone who does not have heart disease. Dr Sircus cited in his interesting article Run from your Statin recommending Cardiologist, a recent study in the journal of Cancer Epidemiology, Biomarkers & Prevention which reports that women who have used cholesterol-lowering statin drugs for more than 10 years have double the risk of two common types of breast cancer: invasive ductal carcinoma and invasive lobular carcinoma². Cancer risks, liver or muscle damage? Published in the Journal of the American Medical Association (JAMA), Dr. Thomas B.Newman and co-workers showed that all cholesterol-lowering drugs, both the early drugs known as fibrates (clofibrate, gemfibrozil) and the newer drugs known as statins (Lipitor, Pravachol, Zocor), cause cancer in rodents at the equivalent doses used by man. 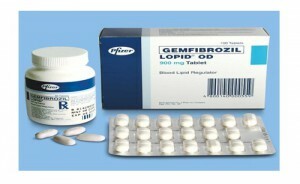 Dr. Gloria Troendle, deputy director for the Division of Metabolism and Endocrine Drug Products for the FDA, noted that the cholesterol-lowering drug gemfibrozil belonged to a class of drugs that has repeatedly been shown to increase death rates among users. Despite only 3 of the 9 committee members voting to pass this drug, the FDA decided to approve Gemfibrozil for human consumption. Ex NASA astronaut and MD. 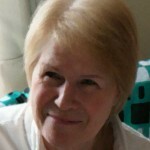 Dr Duane Graveline, MD, MPH has a website called ‘Spacedoc.com’. He has retired as a medical doctor but was an American physician and a NASA astronaut. He was one of the six scientists selected in 1965, in NASA’s fourth group of astronauts, for the Apollo program. In one of his many articles about statins he cites one written in March 2015 by Dr Sidney Wolfe; the article is in the the BMJ (British Medical Journal) at: www.bmj.com/content/350/bmj.h1388. Dr. Sidney Wolfe explains why he thinks the drug Crestor (rosuvastatin) should have been withdrawn and not used. He documents that Crestor’s prime problem is its strength. In the JUPITER study, compared to placebo, the rosuvastatin group had a significantly higher incidence (26%) of new onset diabetes. This same effect of rosuvastatin has been observed in other studies³. So is cholesterol really the enemy? It is interesting to note that many people with normal cholesterol levels die of heart attacks. In fact more people die of heart attacks exhibiting normal levels as those do exhibiting higher levels. A study published in The American Heart Journal in January 2009, analysed 137,000 patients admitted to hospital in the United States presenting with a heart attack. Almost 75% of those patients had ‘normal’ cholesterol levels. This could indicate that cholesterol is not the precursor to heart disease and there is something else going on which has been missed. Is the medical profession overlooking something? Perhaps we can’t see the wood for the trees? Is there a missing link? One thing’s for sure, we all need to strive towards eating a healthy diet which includes, oily fish such as wild caught salmon, mackerel and herring, nuts and seeds, oatmeal, olive oil, organic coconut oil, avocados, green vegetables, fresh fruits, garlic, onions (raw is best), beans and pulses to name a few. Cut out the processed foods and try and cook from fresh. I know, you haven’t got the time! Make time, this is your health we’re talking about. Recipes for quick and easy home made meals that are healthy and nourishing are everywhere. Exercise regularly. How about using a bike or walking sometimes. Leave the car at home, it saves fuel! Why not take the dog for an extra long walk! Eating healthily and exercising regularly is the number one priority for keeping your heart in good condition. If you have no prior heart event then I would question your doctor if he prescribes a statin drug. In fact I would question him no matter what your state of health. Do you own research. Perhaps you could educate your doctor about cholesterol and the natural way to control it. Good luck with that! I want to finish this article by comparing what statin drugs do versus what magnesium does, specifically in relation to controlling cholesterol: This is a table taken from ‘The Magnesium Factor’ a book by Mildred S Seelig MD and Andrea Rosanoff Ph.D. If you wish to make a comment, please do. I always answer questions and comments. Corica F1, Allegra A, Di Benedetto A et al., “Effects of oral magnesium supplementation on plasma lipid concentrations in patients with non-insulin-dependent diabetes mellitus,” Magnes Res. 1994 Mar;7(1):43-7. Chih-Wei Chen, et al “Differential Impact of Statin on New-Onset Diabetes in Different Age Groups: A Population-Based Case-Control Study in Women from an Asian Country” PLoS One. 2013; 8(8): e71817. Published online 2013 Aug 12. doi: 10.1371/journal.pone.0071817. 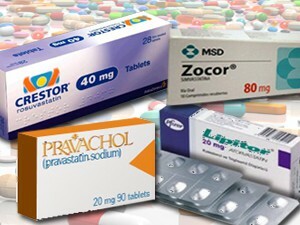 The hype about statin drugs to reduce cholesterol is increasing by the day. But what is the real truth about these best selling and most profitable drugs ever created? This post 'Statin drugs and side effects' looks into it further. Thank you for this informative post, it really opened my eyes to the importance of this mineral. It is great that more people are becoming aware of the natural alternatives to pharmaceuticals which are actually doing a lot of damage. 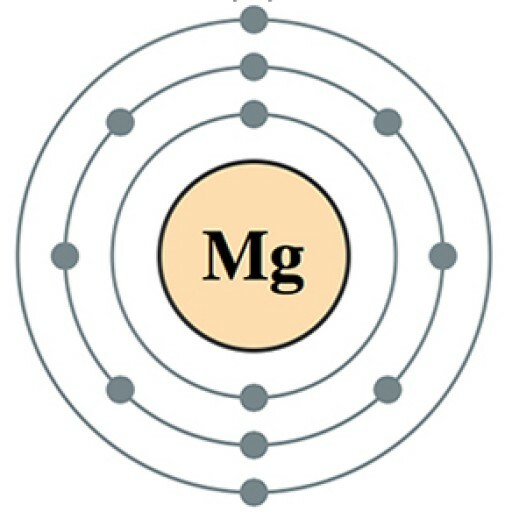 I did a bit more research and found that there are several forms of magnesium. Is there one that you would recommend over another? See my post Best Magnesium Supplements As you can see I definately favour either Mg Chloride solution or Mg Citrate, it really depends on any symptoms you may have. Everyone is different but if your digestion is sluggish the Mg Citrate may be your best choice, otherwise I would go for the Mg Chloride in solution form such as ReMag or Ionic Magnesium. It is amazing with so many side effects from statins, why would they still prescribe them to people. I found this article very interesting and very informative article to read, i have high cholesterol and the doctor prescribed statins for me, so i did some home work and discovered that it effects the liver, i have a fatty liver with slightly raised levels, so i did not take the tablets i threw them away, i lost weight and ate healthy and exercised and my cholesterol came down slightly. I was very interested to read about magnesium i have never heard of this before to lower cholesterol, i would like your advice, i have a fatty liver with slightly raised levels and i have ulcer colitis in your opinion would taking magnesium help me? Thanks for your comments and input Gareth. Mg can definitely help you. No matter what your disease or condition is, you need Mg to produce energy through ATP (adenosine triphosphate). The first thing you will notice when you take a good quality Mg supplement, is that you will have increased energy and a decrease in depression and stress. As for your ulcerated colitis, the same applies, increased energy and less stress and anxiety. The most common symptoms of colitis are: diarrhoea, cramping pains in the abdomen, tiredness and fatigue, feeling generally unwell or feverish, loss of appetite and weight loss, anaemia. These symptoms are also relevant to a magnesium deficiency. 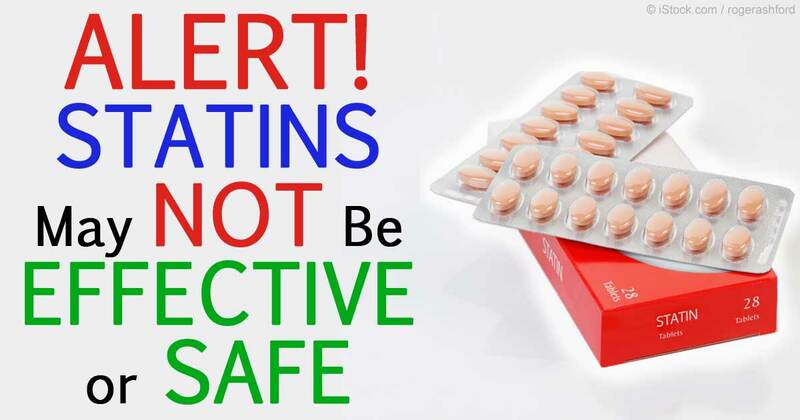 As for the statins, If you’ve read the article thoroughly, you will know that Mg is a natural statin and does a better job than statins do, primarily because it does not block the HMG-CoA reductase enzyme but regulates and controls it. Statins actually poisons this important enzyme that controls the production of cholesterol. That’s why cholesterol drops rapidly when you take the drug. 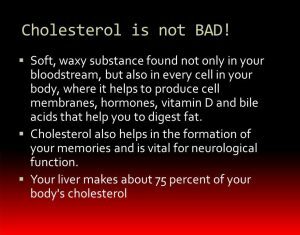 We all need cholesterol, why would we want to poison the enzyme that regulates it? Also remember, as per the table at the bottom of the post, *LCAT (Lecithin-cholesterol acyltransferase), is an enzyme that converts LDL into HDL and is activated by Mg. Also Mg will not affect your liver as it is a natural nutrient. I would advise you to take Mg Chloride, either Dr. Dean’s ReMag, or otherwise Ionic Magnesium if you’re in the UK which is on my site. They are both high quality being 100% bioavailable, but quite expensive. It’s no good taking a cheap supplement, they are not very bioavailable and most will go straight through you. Start gradually at first by putting about a half dose (ReMag comes in 8oz. bottles at an average daily dosage of 250 mg per 4 mls (1 tsp = 5 ml) in a glass of water and drinking it throughout the day. Slowly up your dose every few days. Remember to take it gradually not all at once. It is best that the body takes magnesium in throughout the day as it would normally through food, so always spread your doses. Every day I take 600mg of Mg Chloride solution in a litre of water which I drink through the day. Everyone is different, you will soon know how much suits you. I also eat as many foods as possible with Mg in them. 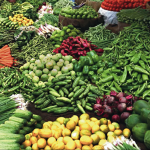 Unfortunately Mg is depleted in our soils so we can’t get enough from just our foods. Nuts, green veggies, if you like seaweed that’s really high in Mg, Foods With High Magnesium will give you an idea of the best foods. Other things you can do is kick junk and processed food to the kerb! Buy as much organic as you can afford and get into cooking your own meals. Use organic coconut oil for your cooking and extra virgin olive oil as a second option. Cut down your sugar intake. If you want some chocolate have at least 70% cocao dark chocolate. As soon as you feel more energised, you may be able to do some exercise, something you probably don’t feel like at the moment. This is not your fault! You can’t exercise without energy. Be careful with your Calcium intake, most of us consume it to excess. Calcium is a toxin if taken without enough Mg to control it. That’s why so many of us have calcified arteries and hearts. That’s what a CCS (coronary calcium scan) does, it checks how much calcification has happened in your heart and arteries. Too much calcium will also cause cramping and muscle spasms, something you may be experiencing. Don’t drink milk before bedtime. Don’t take antacids, they will exacerbate any digestive problems if they are calcium carbonate (chalk) based, as the majority are. I hope you’re not on Proton Pump Inhibitors if so, this will exacerbate your problem. They actually stop the production of acid. Acid as strong as hydrochloric is necessary for the absorption of food. Weak stomach acid is normally the cause of indigestion, not too much stomach acid. Nexium is a PPI which is now an over the counter drug, beware! PS Forgot to say that Mg will also help you sleep! Hi there — this was very interesting. I actually had no idea that magnesium helped regulate cholesterol. I use it to help calm me — is there any basis to truth that magnesium helps with that? I also give it to my autistic son, for the same reason. The problem is, I often forget to take it! I would also like the best quality supplement, but it’s so hard to choose. What would you recommend as the best magnesium supplement that kids can take too? I’m in the uk! Thanks! Very very informative post you have here Chessie. I have learned a lot about cholesterol and especially about magnesium. I wasn’t aware that there are 4 kinds of cholesterol and the High Cholesterol that is so famous for causing cardiac arrest is not really the culprit, rather it is the low density cholesterol. This is a very valuable information about our health and I think everybody should read this. Hi there Norstad and thanks for reading the article. I am gratified you found value in the information as this is what I try to work towards with my posts. The more we take control of our own health and do a little research, the better for us all. Thank you for sharing it, much appreciate. This is a brilliant article and is something I’ve been researching in great detail for quite some time. There are a lot of articles and videos out there by a Dr Tim Noakes who has been speaking out about Statins for a long time. My mother is on them and has been getting a lot of the side affects you see mentioned, I’ve tried warning her that these drugs are dangerous and that cholesterol isn’t the big bogeyman that we’re led to believe. But she is totally blinded by the big pharma industry and calls me nuts! Personally, I think you hit the nail firmly on the head right in the very first paragraph of this article. The word in question is “Profitable” A lot of people are making a lot of money by dishing out this snake oil and it is quite sinister that peoples lives are being put in danger in the name of money. Hi Jay and thanks for reading the article. I’m so glad that more people are coming round to realizing what’s going on with these drugs. I also have a close relative on statins and no matter what I say, he thinks the doctor is the bees knees and what he says goes. As a point of interest, my husband’s brother was put on statins and took them for a while. He suffers with terrible muscle pain and we persuaded him not to take them. He has now been diagnosed with type 2 diabetes and his doctor has told him to come off the statins! I love your post. Everything i have read about statin drugs are here. I was taking lipitor for a while and my cholesterol went down to .5. This is not good as our bodies need cholesterol, a balance of both HDL and LDL. I refuse to take it. Now i have a new specialist she has put me on a low dose of crestor and does not believe all the info on statins. Although i am at a high risk of heart attack i don’t believe i need to take any. What do you think of bergamot to lower cholesterol. I do not have a deficiency of magnesium. Very informative and specific. Didn’t know Mg plays such a magnificent role in our lives. Thanks for all the effort. Definitely engaging with pictures and information. I never would have thought of Mg being important for us. I will consider some of what you are offering as my cholesterol level is a little high.